Major-General Burnside, commanding the military department of Ohio, issued a special order, No. 135, on the 21st April, 1863, by which a military commission was appointed to meet at Cincinnati, Ohio, on the 22d of April, or as soon thereafter as practicable, for the trial of such persons as might be brought before it. There was a detail of officers to constitute it, and a judge advocate appointed. 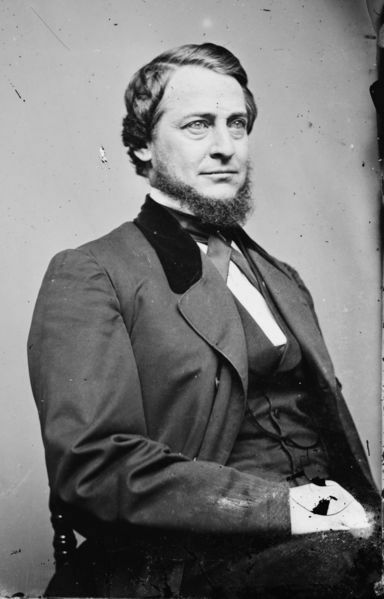 Ex parte Vallandigham (1863) is a United States Supreme Court case, involving a former congressman Clement Vallandigham of Ohio, who had violated an Army order against the public expression of sympathy for the Confederate States and their cause. 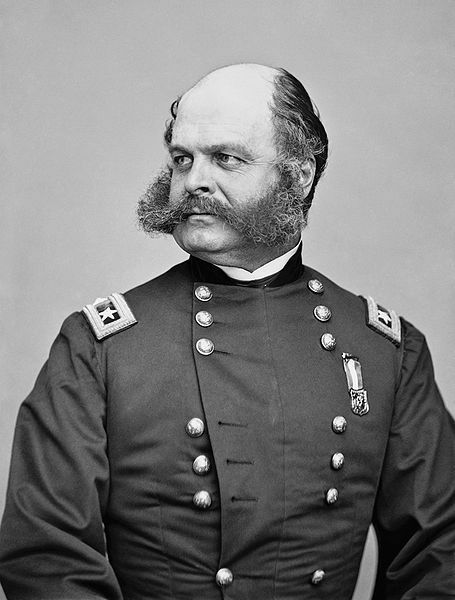 Vallandigham was tried before a military tribunal by General Ambrose Burnside for treason after he delivered an incendiary speech at Mount Vernon. A writ of certiorari brought the case to the Supreme Court under Chief Justice Salmon Chase. 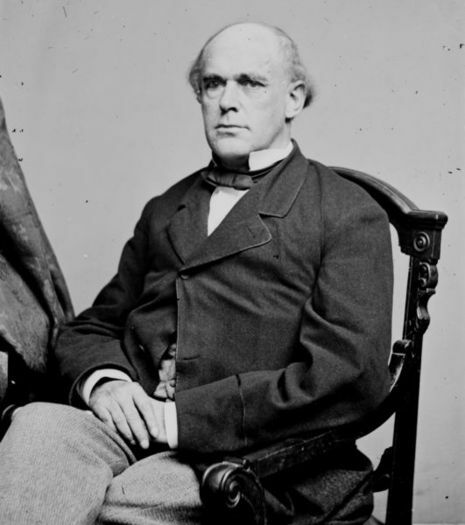 "Vallandigham had denounced the War and the Administration at home and in Congress. President Abraham Lincoln banished Vallandigham to rebel territory. He returned and appealed the action in the Supreme Court." The question before the court was whether or not the military proceedings were constitutional. In February 1864 the Supreme Court unanimously held that it had no power to issue a writ of habeas corpus to a military commission (1 Wallace, 243). The court avoided disagreement with the President or military by arguing that since the extra-legal tribunals were, unsurprisingly, not listed in any documents enumerating courts over which the Supreme Court had authority, Vallandigham had no grounds for appeal. Ex parte Metzger was used as precedent. After General Ambrose E. Burnside issued General Order Number 38, warning that the "habit of declaring sympathies for the enemy" would not be tolerated in the Military District of Ohio, Vallandigham gave a major speech (May 1, 1863) charging the war was being fought not to save the Union but to free blacks and enslave whites. To those who supported the war he declared, "Defeat, debt, taxation [and] sepulchres - these are your trophies." Vallandigham denounced Abraham Lincoln calling for "King Lincoln's" removal from the presidency. On May 5 he was arrested as a violator of General Order No. 38. Vallandigham's enraged supporters burned the offices of the Dayton Journal, the Republican rival to the Empire. Vallandigham was tried by a military court 6-7 May, denied a writ of "habeas corpus", convicted by a military tribunal of "uttering disloyal sentiments" and attempting to hinder the prosecution of the war, and sentenced to 2 years' confinement in a military prison. A Federal circuit judge upheld Vallandigham's arrest and military trial as a valid exercise of the President's war powers. President Lincoln wrote the "Birchard Letter" to several Ohio congressmen offering to release Vallandigham if they agreed to support certain policies of the Administration. President Lincoln, who considered Vallandigham a "wily agitator" and was wary of making him a martyr to the Copperhead cause, ordered him sent through the lines to the Confederacy, and he was taken under guard to Tennessee. Although he changed Vallandigham's sentence, Lincoln did not repudiate Burnside's actions. In response to a public letter issued by a meeting of angry democrats in Albany, Lincoln's letter to Erastus Corning et al. explains his justification for supporting the tribunal's conviction. In February 1864 the Supreme Court decided that it had no power to issue a writ of habeas corpus to a military commission (Ex parte Vallandigham, 1 Wallace, 243).